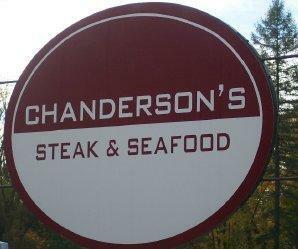 Chanderson's Steak & Seafood is located on Rt. 16 in Yorkshire, NY. If you are looking for a great dining experience in a charming atmosphere, this is the place for you. Chanderson's is casual dining at its finest. Whether you are in the market for a family meal, date night or celebrating a special event, Chanderson's has a menu and experienced staff to meet and exceed your needs. Browse our lunch & dinner menus. Click on the banquet button for details on our private dining room and banquet menus. Please contact us at Chanderson's with any questions you may have.